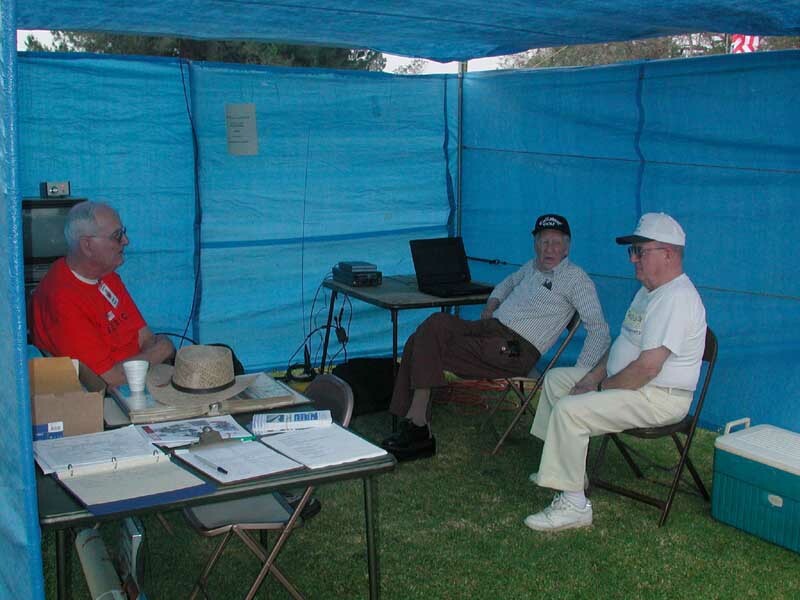 Publicity Chairman Larry-K6LDC (left) talks with Bill-N4WRC, visiting from Alabama. Lunch comes fast on the West Coast during FD. 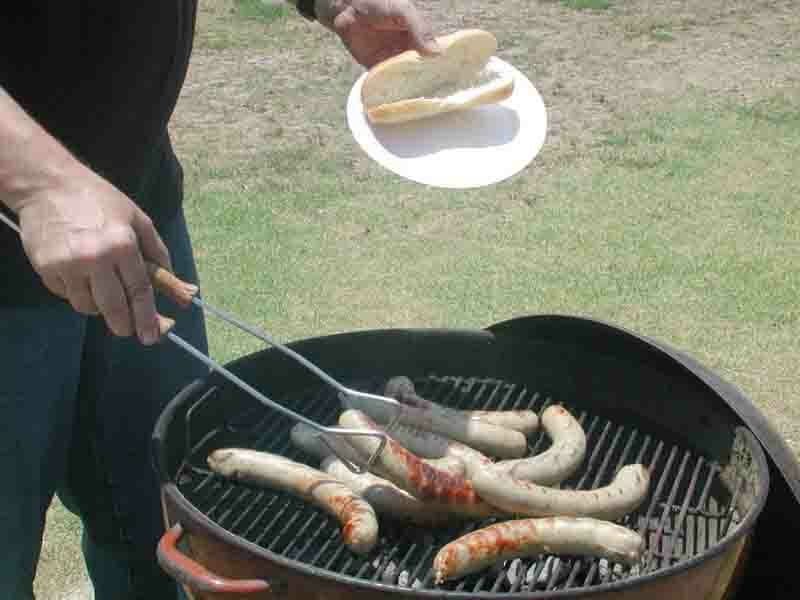 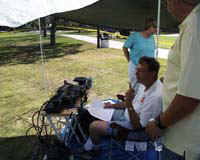 Here Ken-W6HHC get some bratwurst sausage ready for hungry hams. 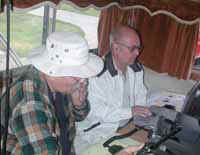 Chris-KJ6ZH drove all the way from the San Francisco area to set up a Field Day satellite station for the Saturday passes. 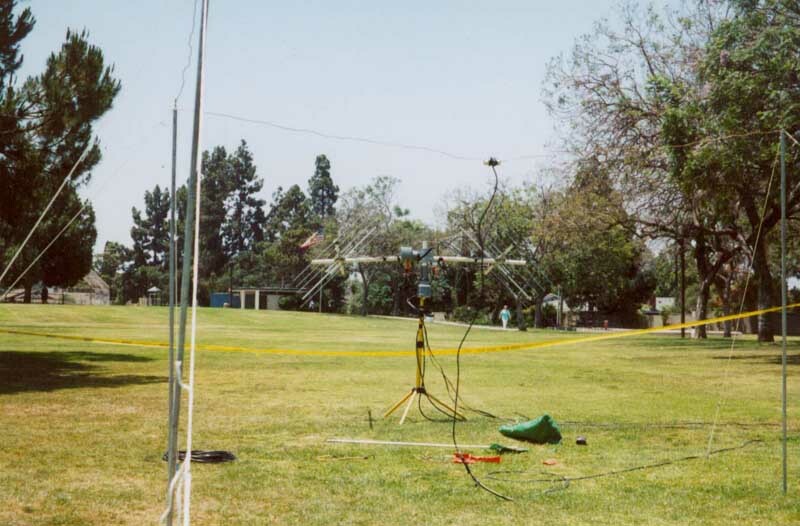 This is the antenna system that Chris-KJ6ZH set up for FD satellite communications. 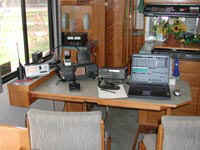 In the center are the 2M polarized yagis for transmitting the up-link. 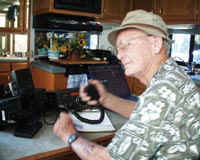 A 10M loop antenna was used to receive the down-link signals..
Carl-WA6BSV brought out his hand held satellite system for some Sunday morning passes. 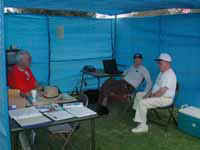 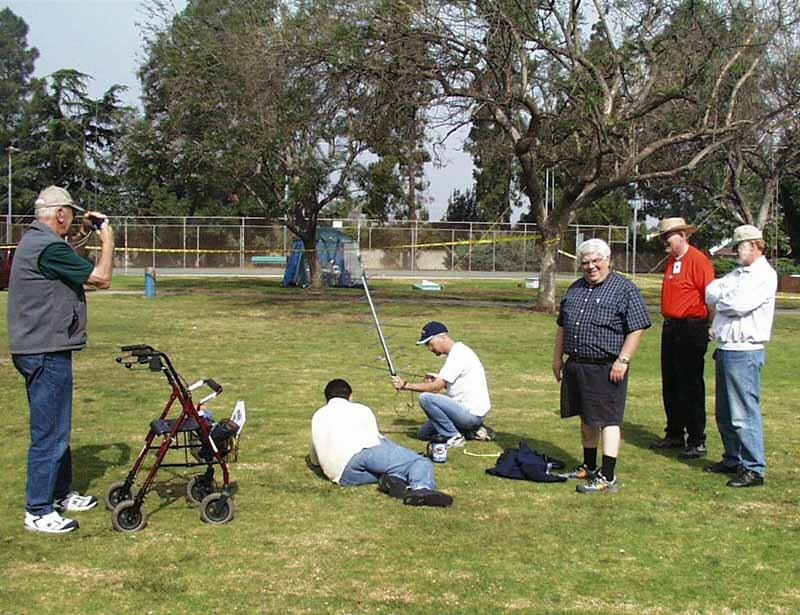 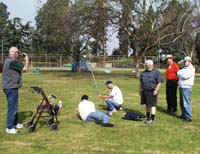 (L-R) are John-N6RUI, John-WB6AJE, Carl-WA6BSV, Steve KB1GZ, Lowell KQ6JD, and Rich-KE6WWK. 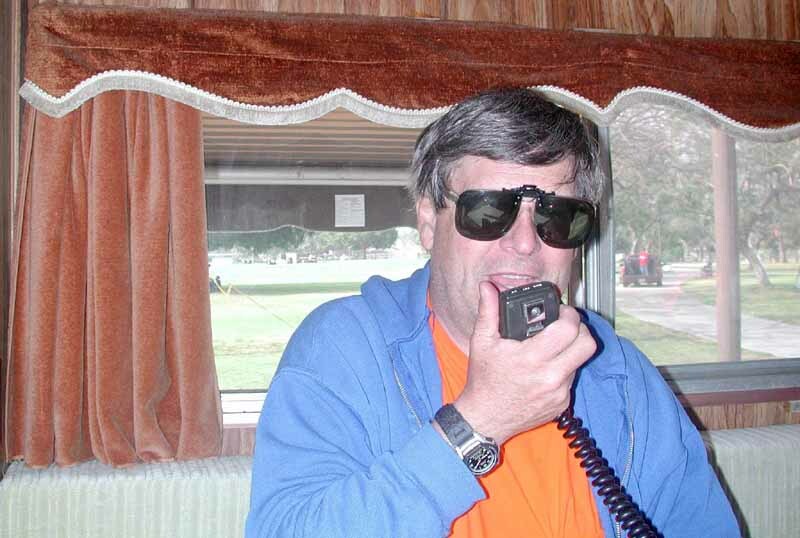 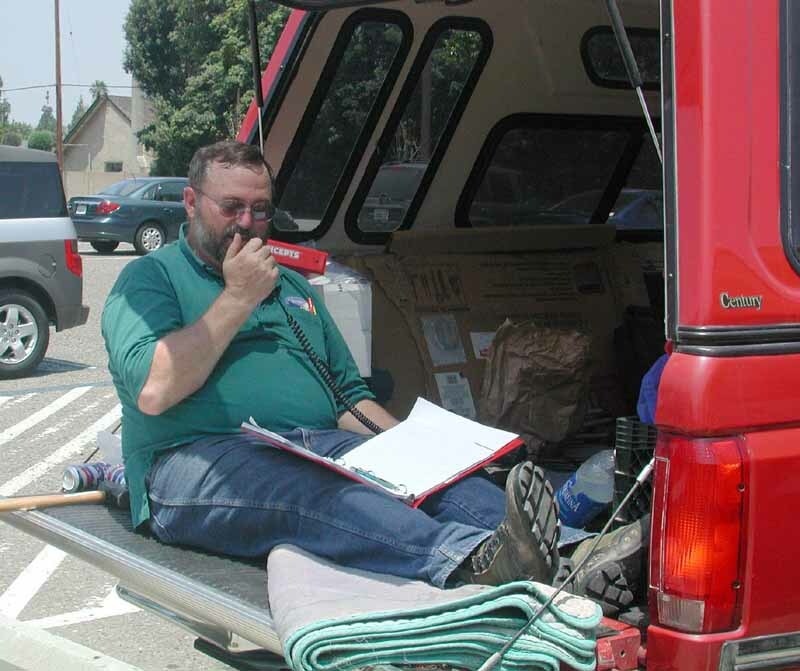 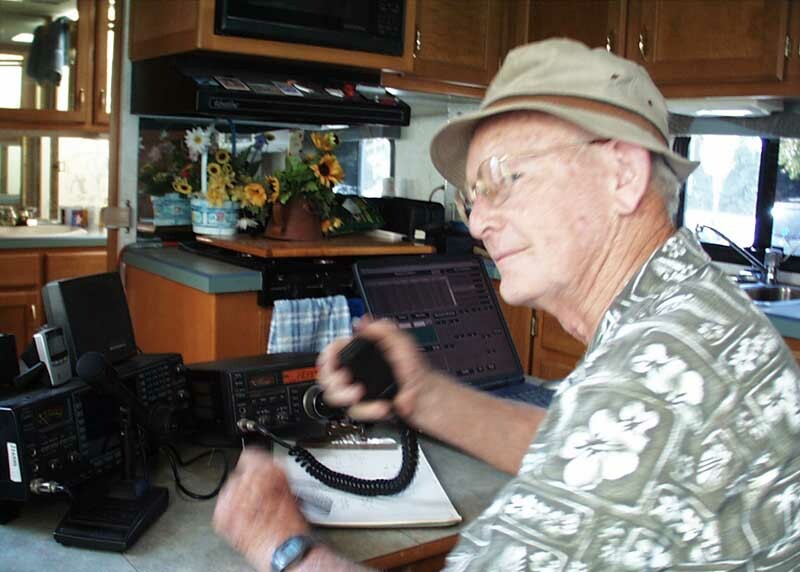 Bob-KD6BWH started 2M FD operations from the tailgate of his truck while waiting for the VHF/UHF Team Captain, KF6LEX, to finish teaching a morning class at school. 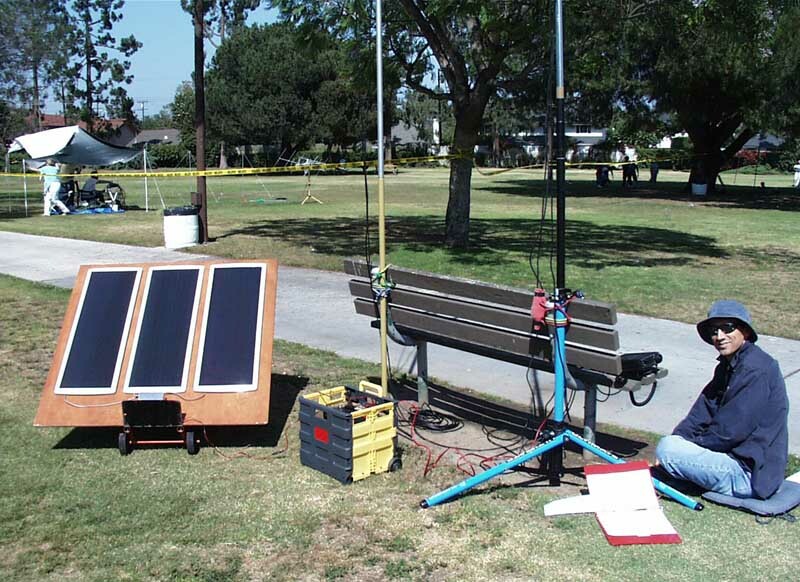 Chris-KF6LEX ran an open air FD set-up on VHF/UHF/SOLAR.The solar panels supplied plenty of power for the storage battery (yellow crate) to keep the ICOM 706 running well after sunset on 6M, 2M, 220MHz and 440MHz..
Tom-WA6PFA had to scratch hard to come up with contacts on 10M this FD due to terrible propagation. 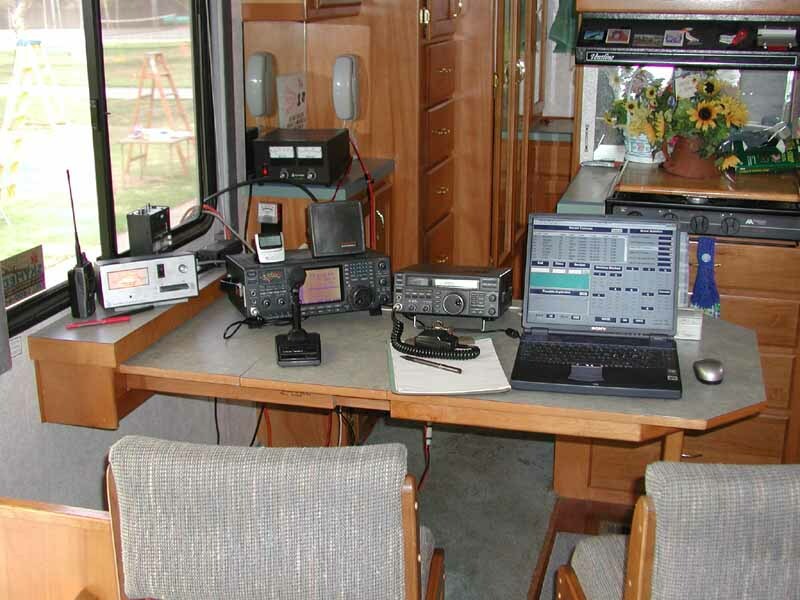 This is the 15M station, operating inside the KD6XO motorhome. 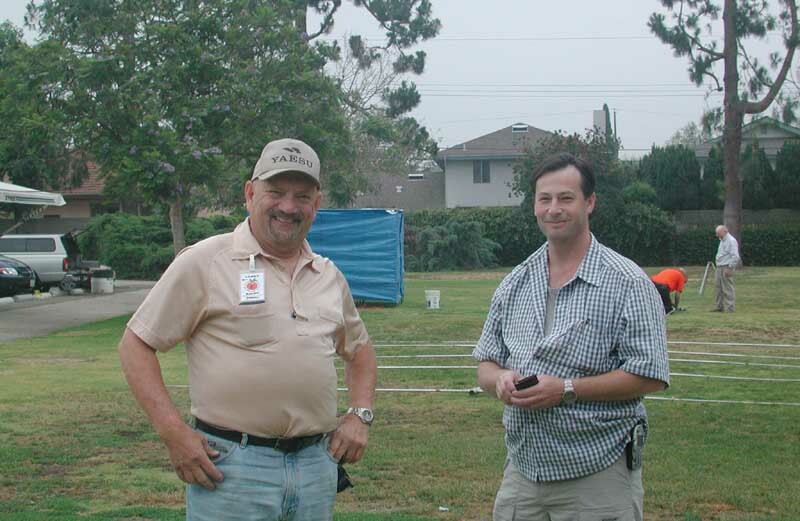 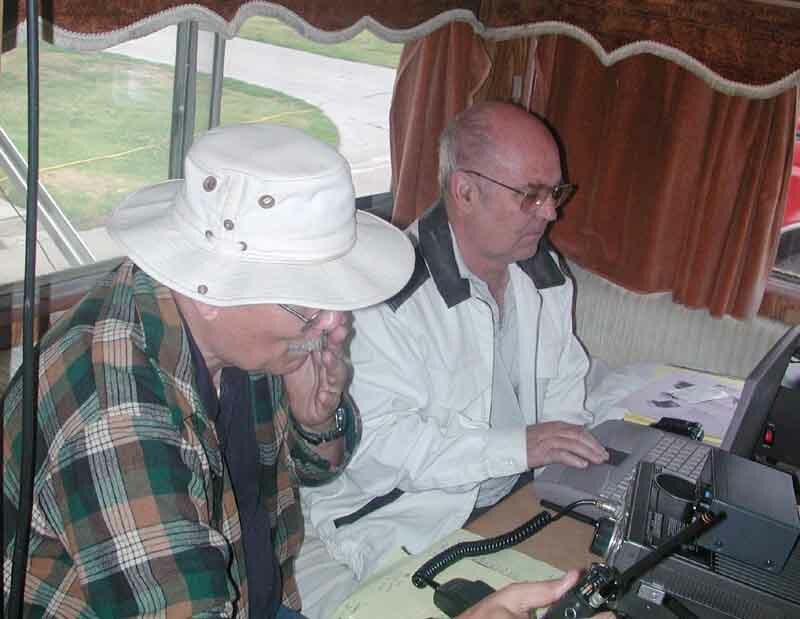 (L-R) Ken-W6HHC and Bob-KD6XO. 15M Team Captain Bob-AF6C takes at turn at the mike.